Time Rifters 20% Off During Steam Holiday Sale! 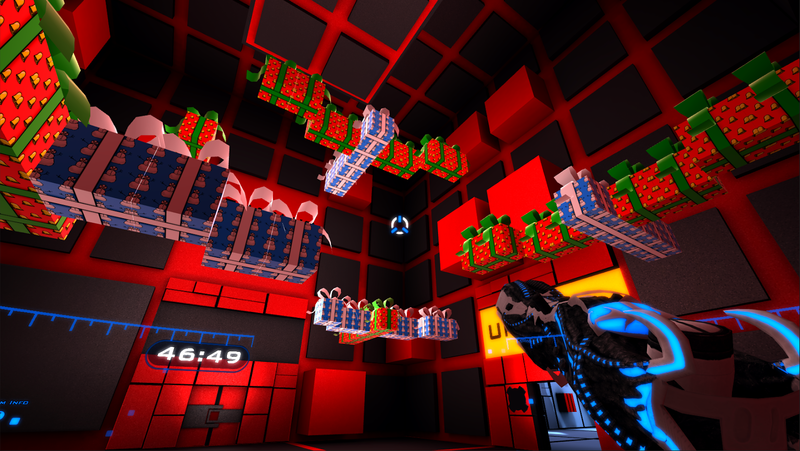 Steam's annual winter holiday sale has begun & Time Rifters is available for 20% off! This is a great opportunity to check out our holiday gift wrapped enemies & fire cracker confetti which is only available in the Daily Challenge until December 31. We're happy to announce that Steam trading cards are now available. Play Time Rifters to start collecting the 6 trading cards, 6 badges, 5 emoticons and 5 backgrounds that we've created. 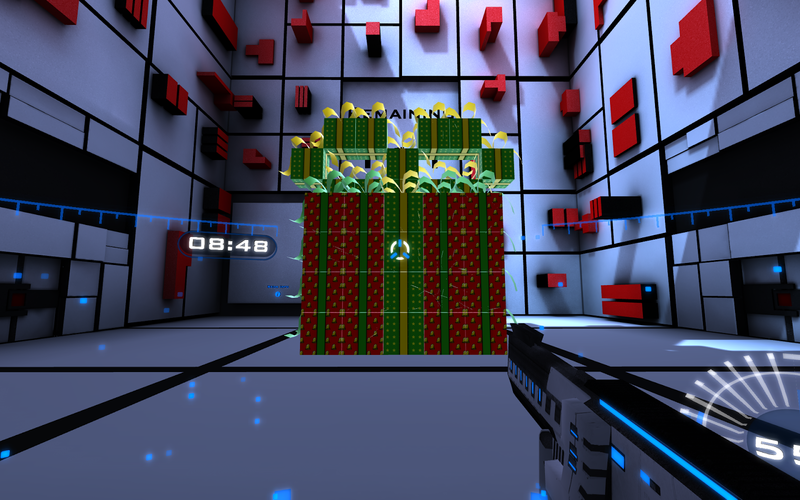 Just a reminder, all the enemies in our Daily Challenge mode are gift wrapped until December 31. Christmas Update - Only Available Until December 31! All enemies in the Daily Challenge have been gift wrapped and contain confetti fire crackers. The Christmas Update is available from December 1 - 31. Time Rifters Challenge Update is now live! The Challenge Update is now live! Compete for a highscore in the Daily Challenge, or if you're feeling more creative, design, build and share your own rooms and arenas. This is a free update for all Time Rifters owners. Check out our new Time Rifters: Challenge Update trailer for a preview of the new features, or just exit & restart Steam to check them out for yourself. Join us on our Steam forums and let us know what you think. New 'Daily Challenge'. 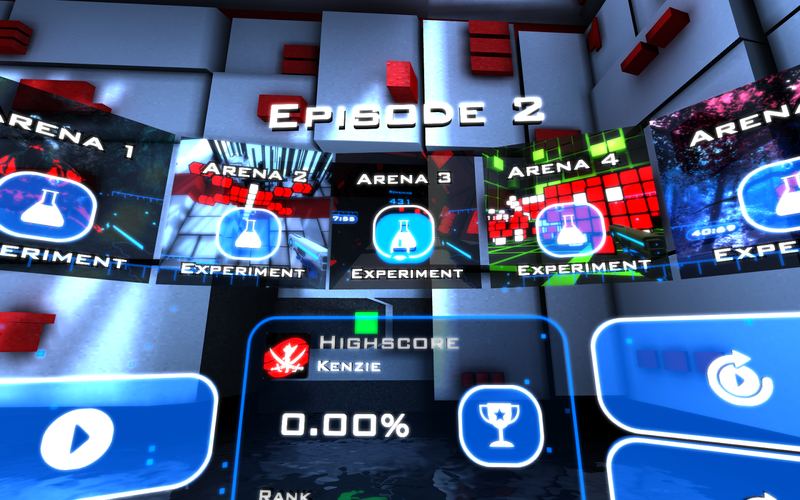 Team up with yourself in randomly created arenas of user created rooms. New 'Custom Arenas'. 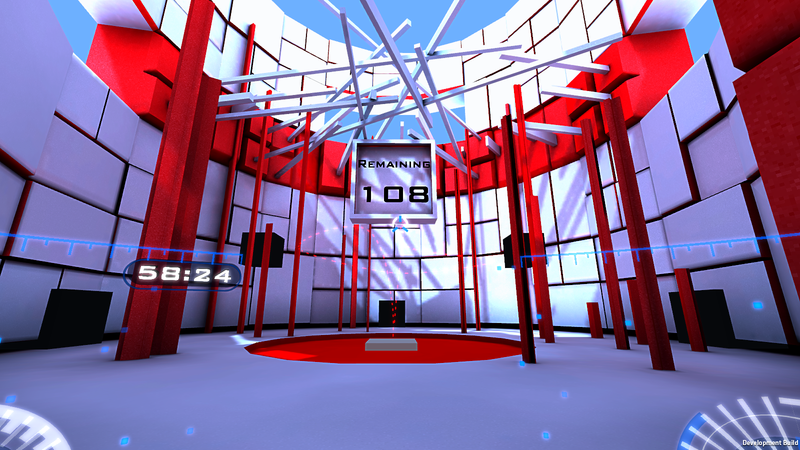 Play arenas created by other players via Steam Workshop. New 'Room Editor'. Create enemy configurations, platforms, buildings, forcefields, jump pads, triggers & wires. Your room may appear in a Daily Challenge. New 'Arena Editor'. Point and click to create a configuration of rooms, then share that arena on the Steam Workshop. Time Rifters 'Challenge Update' is coming soon! 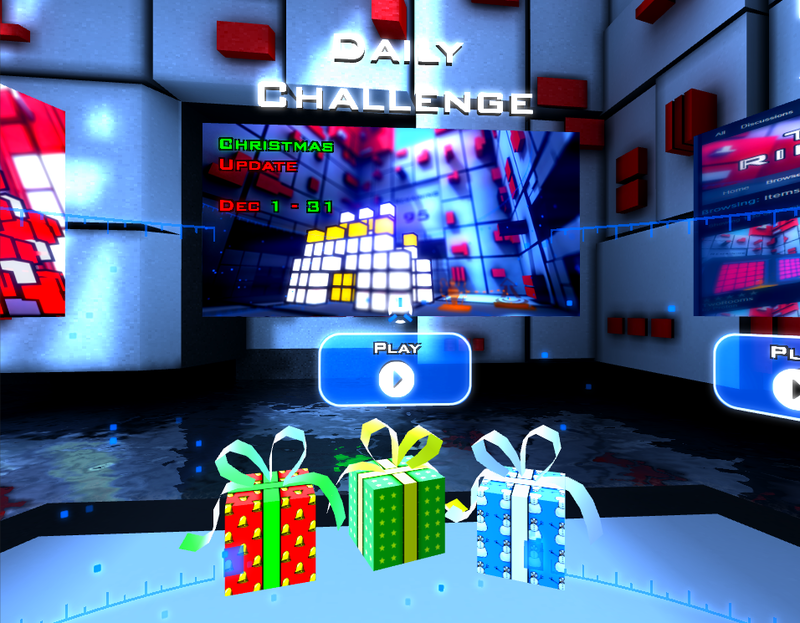 Team-up with yourself & get a highscore by navigating the Daily Challenge; a maze of user created rooms. Feeling a bit more creative? 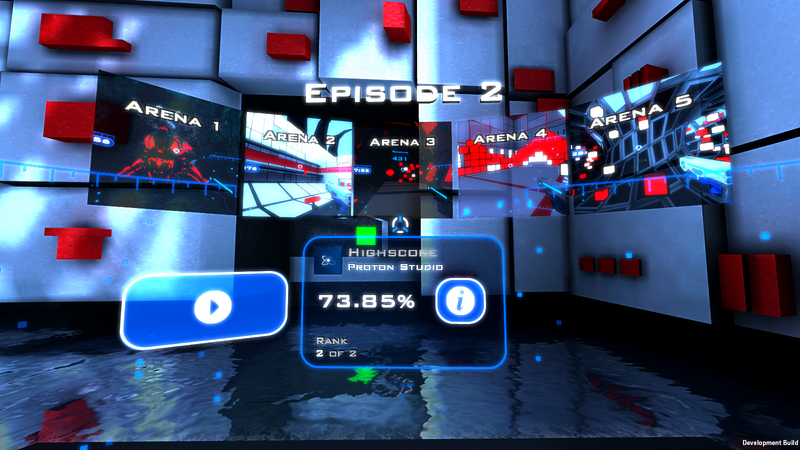 Create your own rooms and custom arenas using the new editors. We're just working on implementing some last minute features, so stay tuned. Feedback and reviews have been great! The top 2 requests are for more arenas and a level editor. After a lot of brainstorming, we've created a concept that combines those 2 requests into a Daily Challenge. 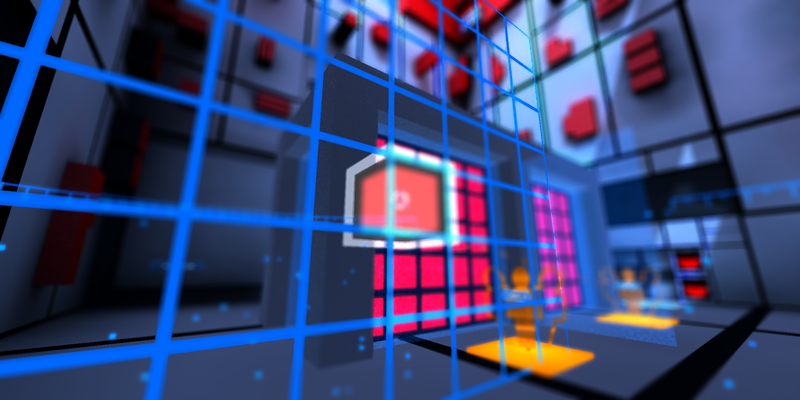 Each day a new randomly generated maze of user created rooms will be available. Once again you'll team-up with yourself to get a highscore, but this time that's done by collecting the most gold. If there's enough support for this game mode, we'll continue development, and it'll be released as a free Time Rifters update. We want to know what you think of the new concept. Please leave your comments/feedback here or in our Daily Challenge Steam Discussion thread. 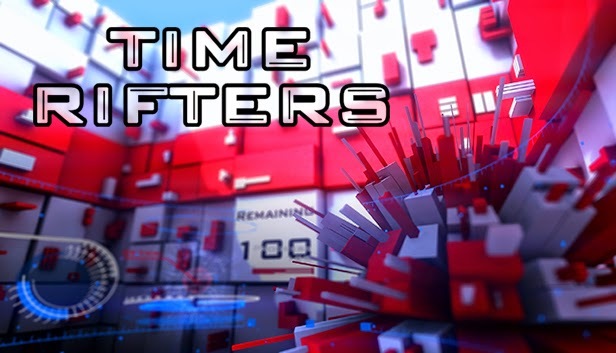 Time Rifters Now Available on Steam! Time Rifters is now officially released on Steam! Check us out and leave a review letting us know what you think of the game. Time Rifters is filling up with awesome Let's Replays, so we've just updated the Let's Replay menu so you can easily see which ones you've already played and your highscore. 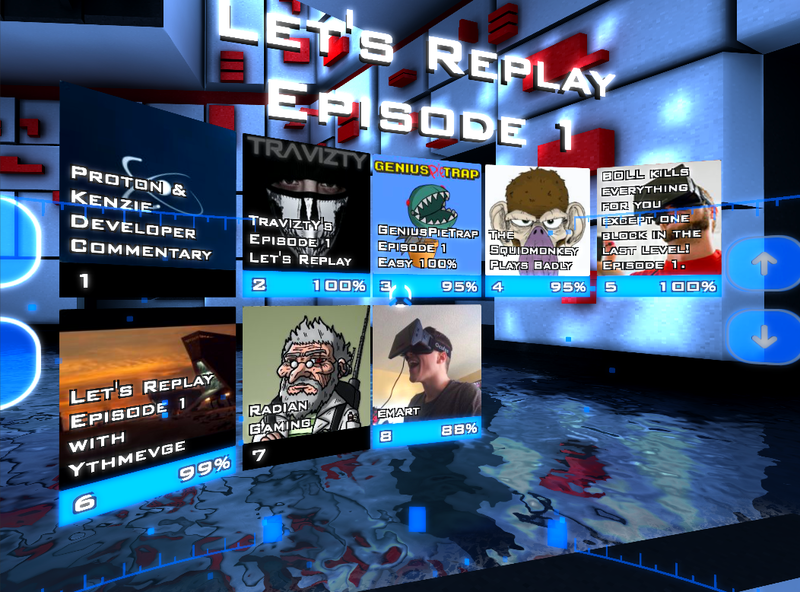 The Steam avatars used for the Let's Replays looked so cool we wanted to show them off more. 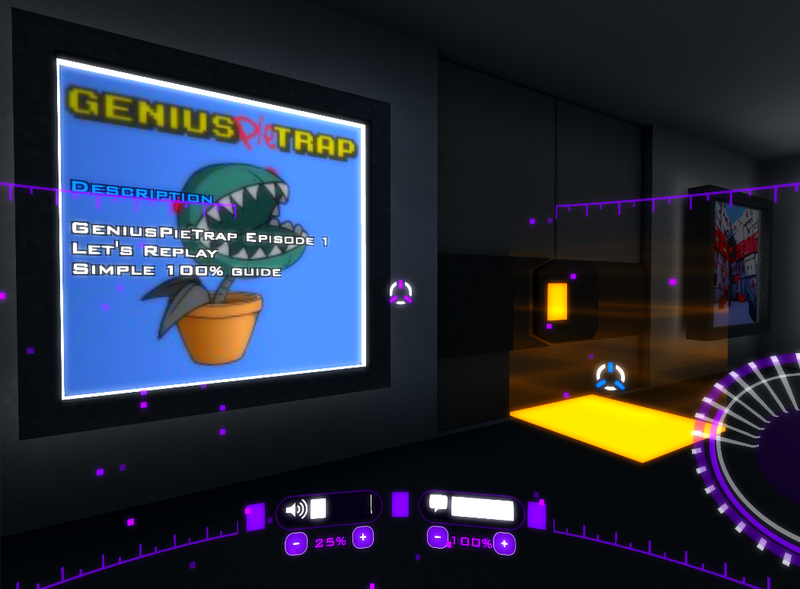 The avatars & custom Steam Workshop item descriptions are now showcased in the clone room before each arena. 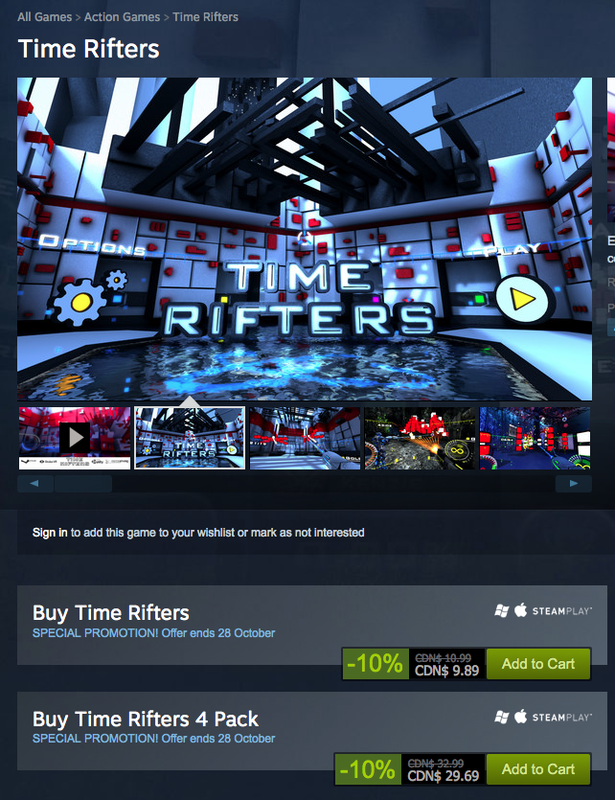 Time Rifters will be available on Steam on Tuesday October 21 for $9.99 USD. 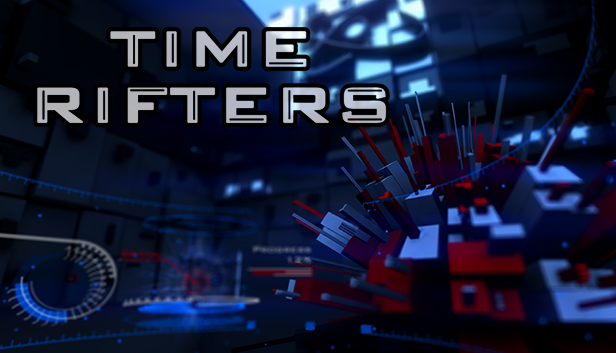 Be notified when the game goes on sale by adding Time Rifters to your Steam Wishlist through our store page. Beta feedback introduced Experiment mode. Plan your attack with infinite gold to optimize your high score. Reworked final boss fight, way more action packed now! 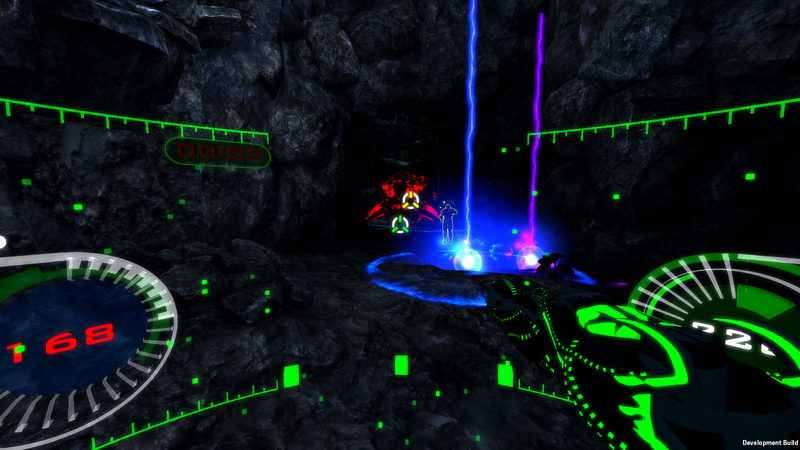 Check out some new effects on the Time Rifters Particle Ball weapon. 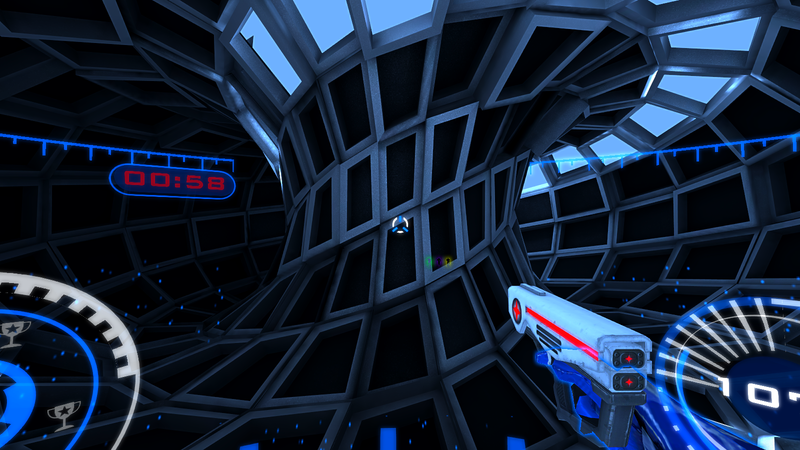 Putting the finishing touches on the levels & decided to update Castle, one of our holodeck arenas. What do you think? On Egypt we added more pops of color to the walls. 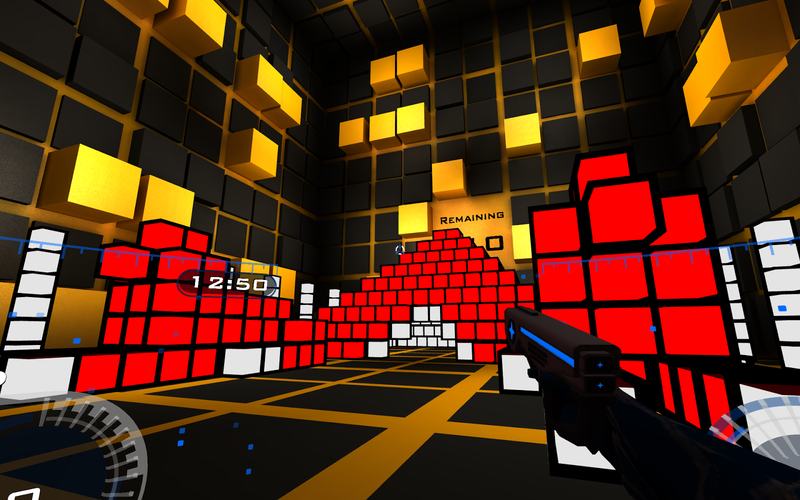 The colored blocks create a maze for climbing. This dark little spot in the Caveworm arena was perfect for comparing the base and upgraded Scatter Pistol. 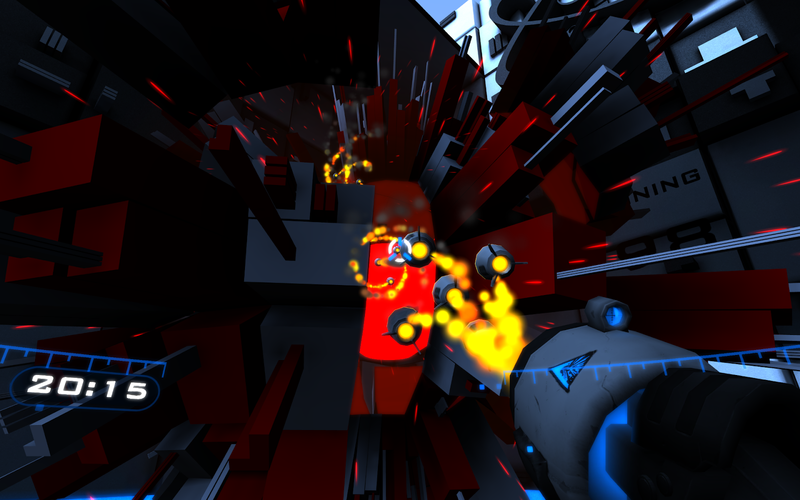 Scatter Pistol upgrades include bullets spread on hit, increased damage, faster shooting, acid, and make bullets bounce. With Steam's new Discovery update you can now Wishlist (be notified when game goes on sale) and Follow (receive updates/announcements) Time Rifters, all from our Steam store page. 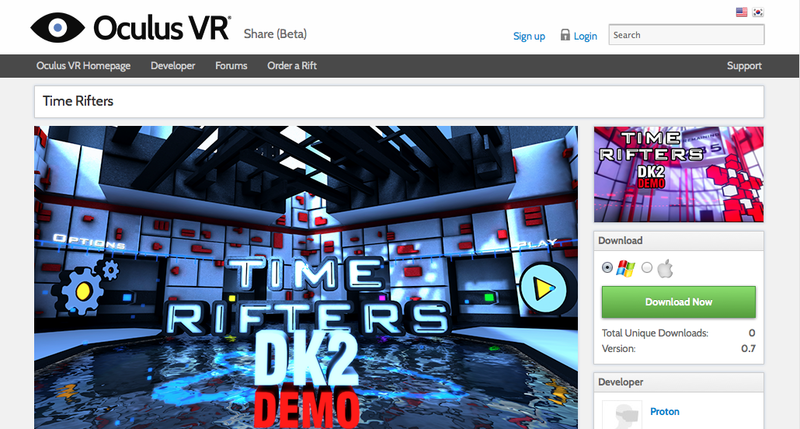 Time Rifters DK2 Demo Available on Oculus Share! The Time Rifters DK2 demo is now available on Oculus Share! We appreciate all feedback so please share any thoughts/comments. For more updates and announcements check out our Steam Page and/or follow Time Rifters on Twitter. Steam 'Coming Soon' Page Now Live! Our 'Coming Soon' page is now live on Steam. For updates & announcements join our Official Steam Group. For those that might be wondering, we're still waiting for our Oculus Rift DK2 to arrive. Our order was placed at 2:53 pm PDT on day 1 (March 19), so hopefully it'll be in the next shipment. We've recently finished creating the images for our Steam store page. After trying out a few different concepts that didn't work, we created a dark futuristic image that we really liked but decided it was missing the brightness that our current branding has. In the last update we mentioned that players are now able to record a play through of an episode as the first two time clones. We've now added the ability to record audio commentary, making the Let's Replay functionally complete. As part of the audio component we added a microphone visualizer to show the Let's Replay recorder that their voices are being recorded. Those playing a Let's Replay will also see the visualizer as it is displayed above the head of the time clone that is speaking. While playing through the game we noticed that it felt like something was missing at the end of the episode, since the other time clones where just standing around. We made a small change so that the other time clones will now time warp back to the clone room at the end of an episode. Besides the Oculus DK2 integration, the last big task that we have on our Time Rifters to do list is the Let's Replay system, which we've begun to implement. We can now record a play through using just 2 clones, as well as the ability to play alongside that recording using the other 2 clones. Our focus is now on the audio recording/playback as well as the Steam Workshop integration. We've also spent some time recently performing maintenance and increasing performance on our NPlay servers which host our games BeGone and InvinciCarOnline. A recent Freakonomics podcast said "... people fall prey to what economists call sunk costs, once you've invested a lot in something you hang on to it even though it's not worth anything". The Freakonomics podcast summed it up perfectly "... it would have been so easy to say, okay, it's not exactly perfect, let's just keep going". We found ourselves with a choice to make; do we stick with an okay arena that we've already invested time and money into and try to make it work, or do we scrap it all and start from scratch. We chose to create a brand new, clean and simple arena, that we are excited about. It's extremely difficult to walk away from something that you've invested time, money and heart into, but in our opinion, this is a skill that is required in order to be successful. We originally thought that Time Rifters would have a long gameplay style, where the player continuously levels up as they progress through each episode. 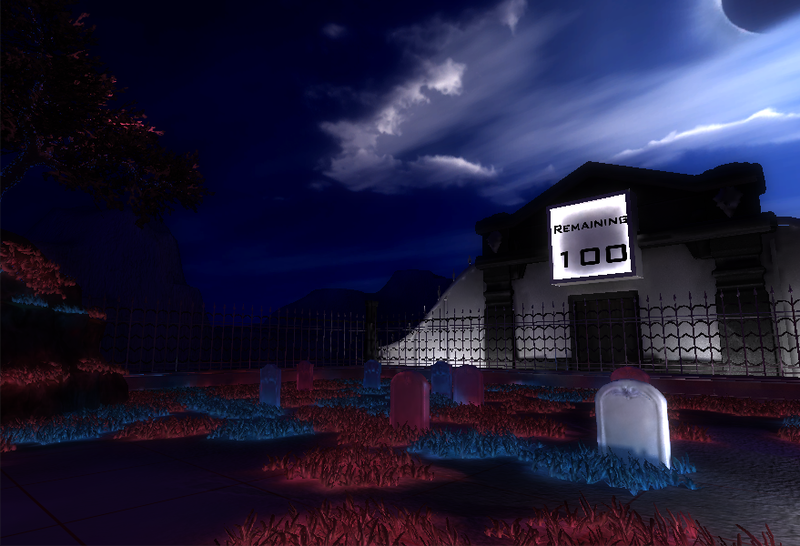 But the more we worked on the game, the more obvious the limitations became, so we've switched to a short gameplay style. 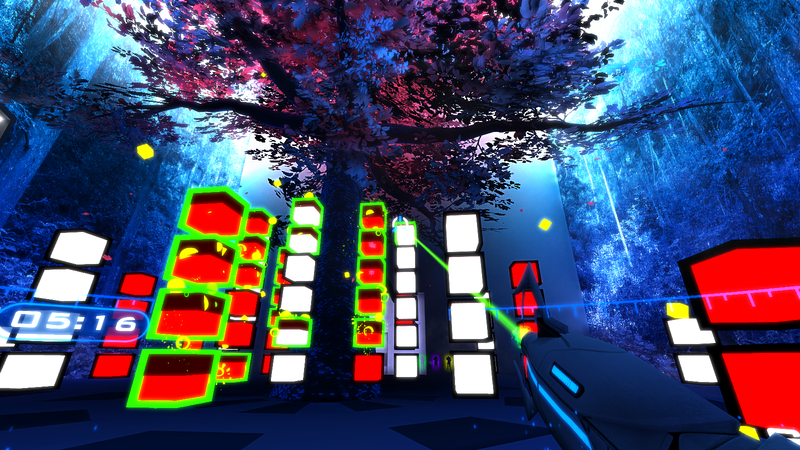 For easier navigation we always try to have the player moving forward, which also has the added bonus of being more comfortable in VR (less turning). Because of this we have re-designed the clone room so the shop and exit are both located directly in front of the spawn area. We both really liked the skylight in the current clone room so we decided to make it a focal point in the new design. 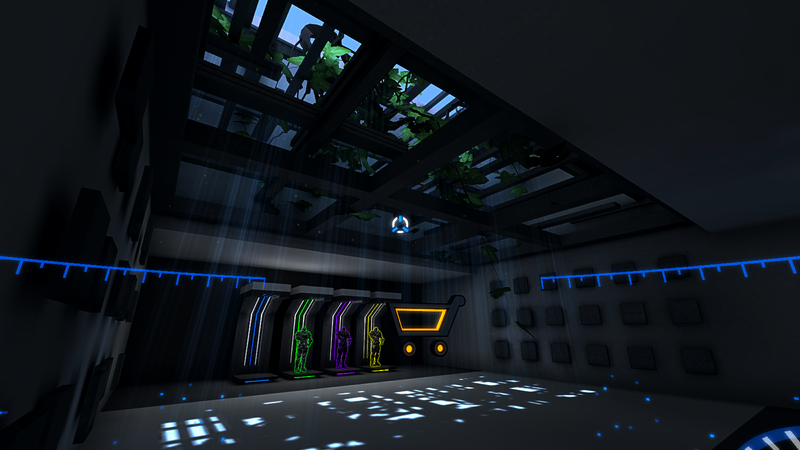 The new giant skylight provides some natural light, plus it gave us the ability to add additional features like hanging leaves and light shafts which are great in VR. Being in VR and watching a rocket fly past, with its fiery tail and whoosh noise, is what made a rocket launcher one of the top weapons on our list to add into the game. The green clone in the video below is firing the base weapon, and the blue clone is firing the upgraded launcher which includes 4 rockets. Enemies should glow green when hit with acid. It seems so obvious, but we didn't think about it until Doug was watching me play recently and he noticed that I couldn't tell whether or not I had hit the enemies with acid. It was a small change but it made a large and satisfying impact on the game. This is one of our 'duh' moments where we wonder why we didn't think of it sooner. It is one of those situations where working harder or faster wouldn't have made a difference, instead we just had to wait for a spark to trigger the idea. 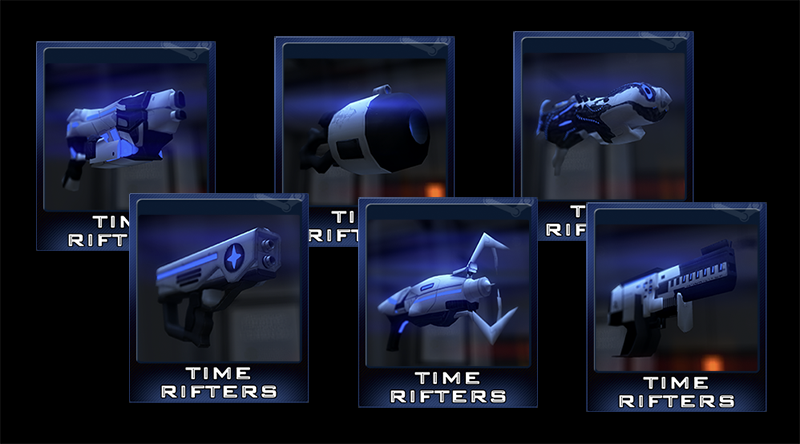 The laser gun is another brand new weapon that we've added to Time Rifters. The base weapon is pretty powerful but add upgrades like wave damage, shoot through multiple enemies, and acid to cause even more destruction. We thought a double-slit upgrade (as explained in the Dr Quantum - Double Slit Experiment video) would be perfect for the laser gun. Our plan was for the gun to emit a wave that causes damage to any enemy it collides with, however the combination of the long-range laser and short-range double-slit upgrade are not as much fun as we hoped. We still want to have the double-slit in the game, we just need to find the best way to use it. Any suggestions? 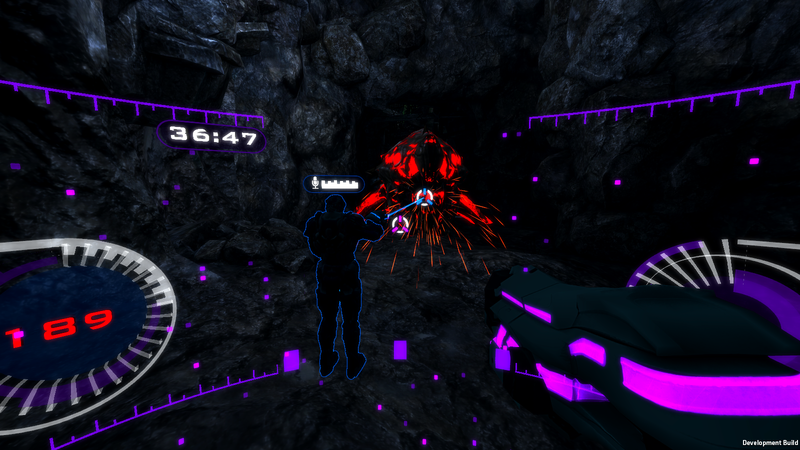 Time Rifters new particle weapon with proton & electron upgrades! 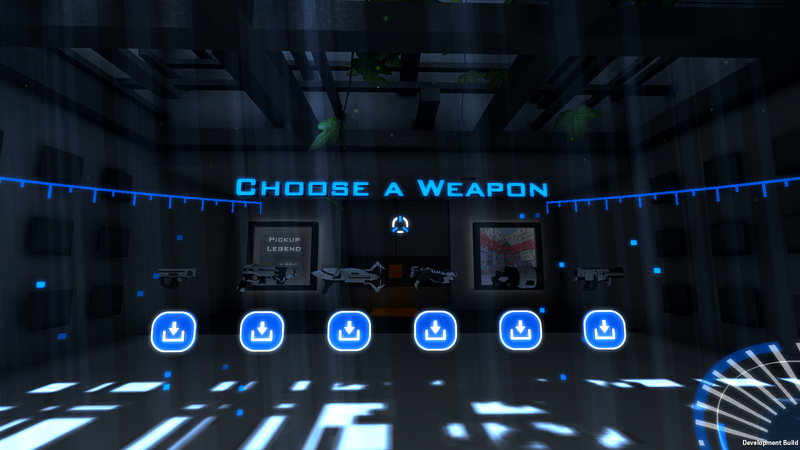 We recently changed our focus from level design to working on the weapons and upgrades. We now have a close range weapon that features a neutron base, with proton and electron upgrades that add additional damage and range. We are still exploring what to call it. Some ideas we've had are Atom Smasher, Atomic Crusher, Atom Destroyer, Atomic Ball, and Particle Ball. Would love to hear your thoughts and suggestions, what do you think this weapon should be called? Check out our recent interview with TSAG (The Socially Awkward Gamers). 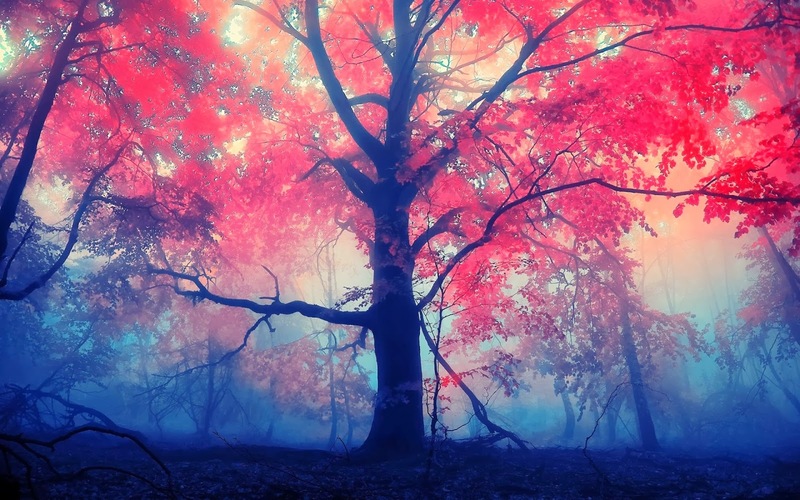 While browsing Reddit we came across this amazing photo and immediately wanted to experience it in VR. As an homage to the screen door effect, the level walls are floor to ceiling screens with raining pixels bringing them to life. Next it was on to building the perfect tree (yeah, you can use your climbing skills on it :) ). 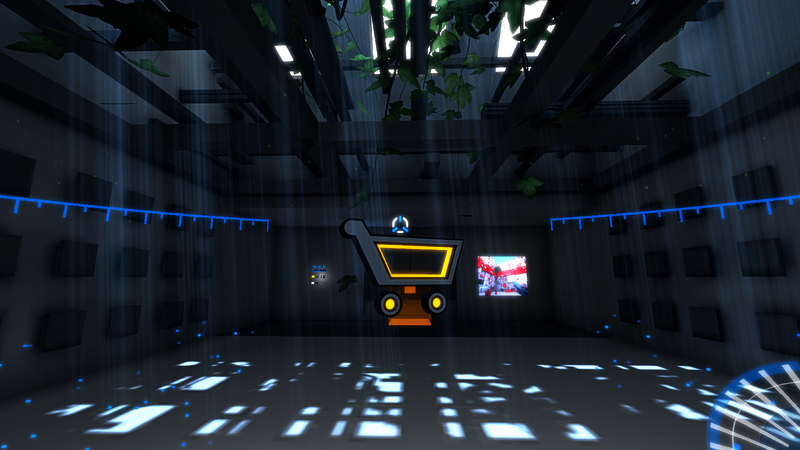 We were intrigued by the idea of a level that worked like a 3D printer. 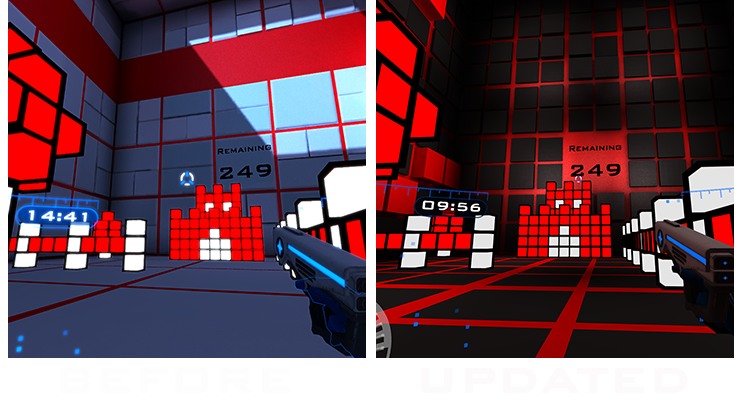 Our vision included walls covered with the spawning blocks that would "print" enemies in certain patterns. For the second level, we upped the ante and turned the printer into a twisted donut! 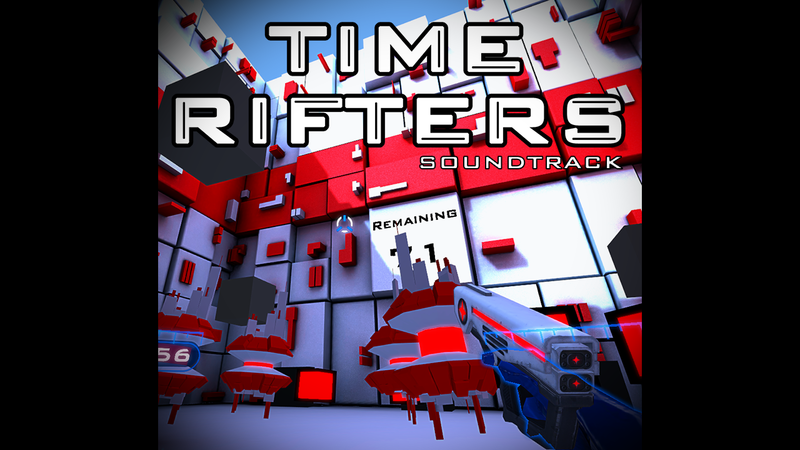 We've received lots of requests from people wanting a copy of the Time Rifters soundtrack. We really enjoyed collaborating with talented musicians to create custom music that we are proud of. Our philosophy has always been to release as much free content as possible; the more positivity we put out, the more we get back. We are happy to share that the Time Rifters Soundtrack is now on YouTube! Game development is progressing well, with our main focus continuing to be on level creation. 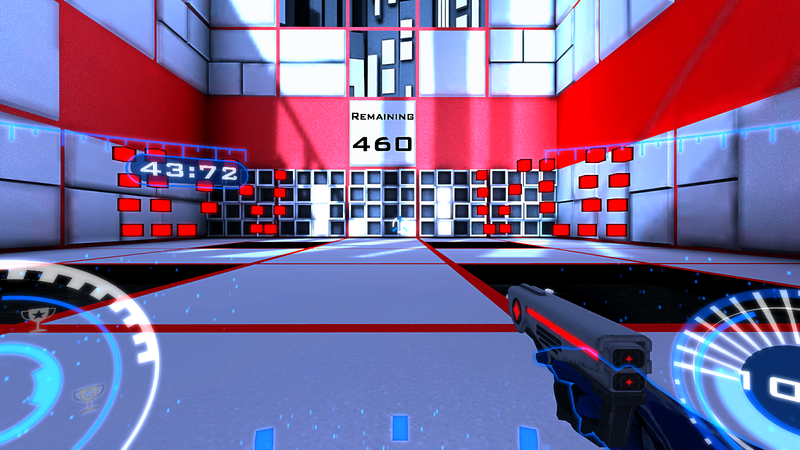 Screenshots of the new levels will be shared soon. We've received some requests to include more enemies that aren't blocks in the game. Here are a couple of non-block mechanics that have been implemented in some new levels we've been working on. The original cave level (Episode 1, Arena 3) was one of our favorite arenas, at least up until now. 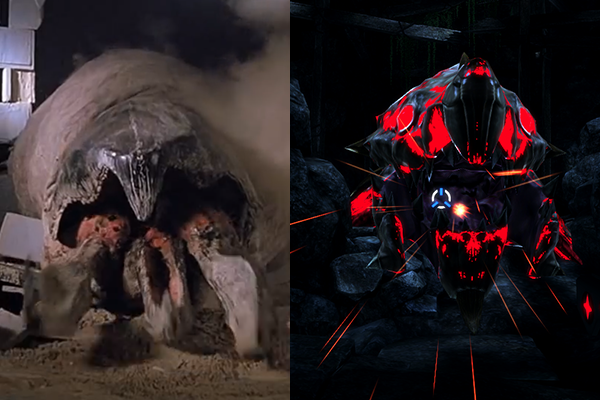 Once again your characters are exploring the caves but this time they will encounter a giant worm-like creature inspired by the 90's movie Tremors. Sticking with the nostalgic, we have also introduced a door mechanic similar to one that would be found in the NES game Contra. 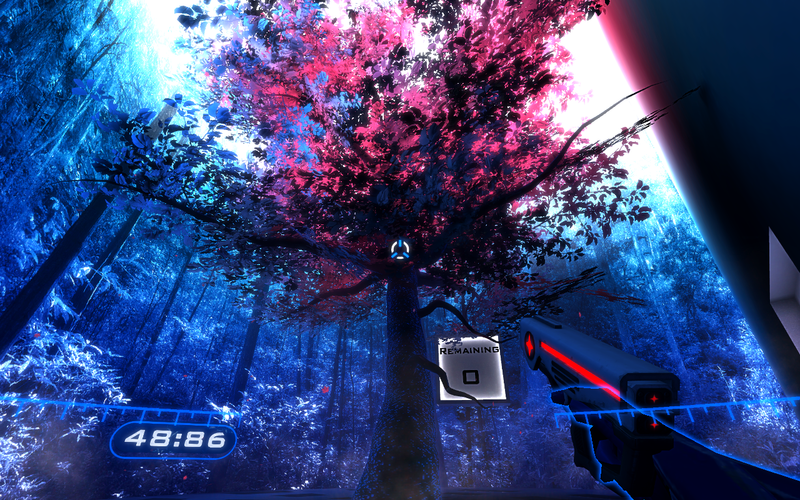 Time Rifters Greenlit! And Let's Re-Play? Really excited to announce that Time Rifters was Greenlit today, thanks for all the support! He would play through the entire episode only using the first 2 time clones, his voice would be recorded. After his play through, he could choose to upload it to the Steam Workshop/Marketplace and either give away or sell his Let's Play (so he could give away episode 1 for free and then charge for episode 2 & 3). All the profits from let's play sales would go to the recorder. You now start playing as the 3rd player, the 1st player controlled and voiced by JesseCox starts walking around and talking (positional voice audio of course). The 2nd and 4th time clones are idle. At the end of the first round, you start controlling the 4th clone, the 3rd clone is the replay you just did, the 2nd clone is now active as JesseCox (with voice), the 1st clone is also JesseCox (without voice). After you finish the episode, it shows how well you did together (percent complete). Hopefully we explained it well, we've just been exploring this concept over the past few days. What do you think? All of the pieces of our TrackIR finally arrived and we have been able to test it in Time Rifters. We plan on posting a video with our experience so look for that in the near future. Greenlight is still going great, we have received close to 16,000 yes votes and are sitting at #7. It is great to see all the Time Rifters play through videos that are being uploaded to YouTube including videos by JSmithOTI, TheSocomMr, The Indie Game Promoter, JaR Dev and MrJTDekker. 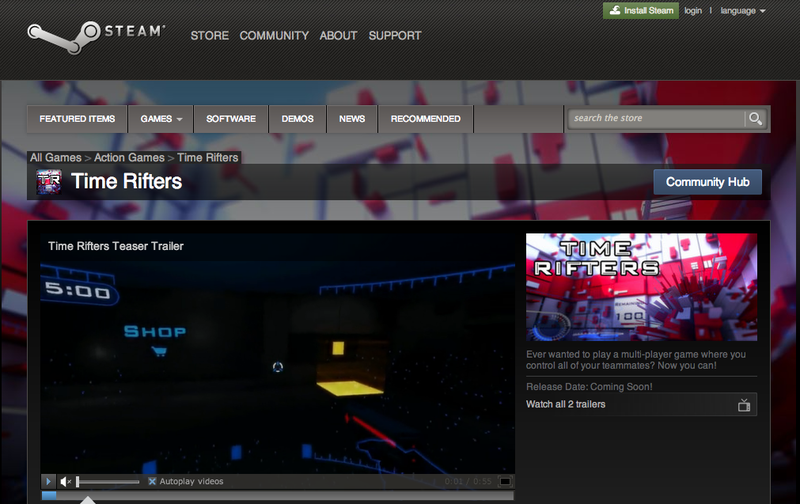 Time Rifters is now ranked #4 on Greenlight with almost 13,000 Yes votes! 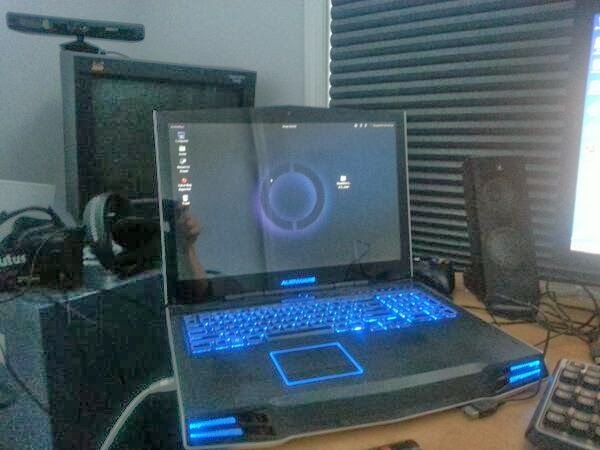 SteamOS is now installed and Time Rifters is up and running on our homemade Steam Box. We just released a new Linux build (0.5.1) which fixed a gamepad compatibility problem. The Time Rifters Greenlight campaign is going great, we are currently 60 out of 1,499 games! We have also received a lot of great mentions lately. 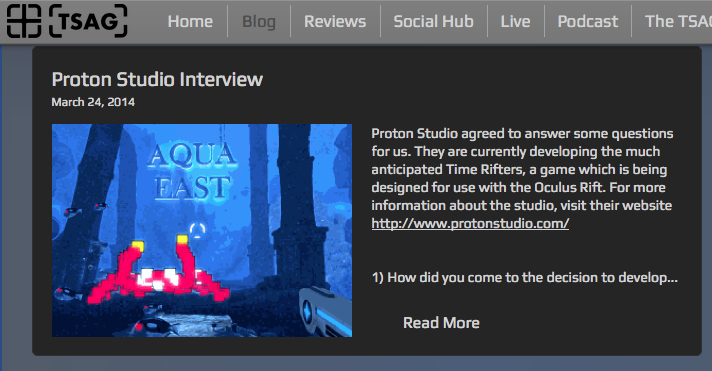 We had a great time chatting about Time Rifters, game development and VR with Reverend Kyle on his RevVR Podcast. 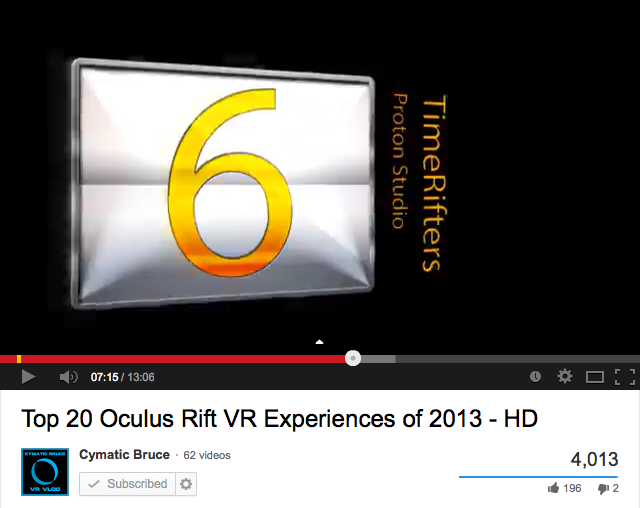 Time Rifters was voted #6 in Cymatic Bruce's Top 20 Oculus Rift VR Experiences of 2013. Lastly thanks for all the great game play videos on YouTube, we've been enjoying watching them all.